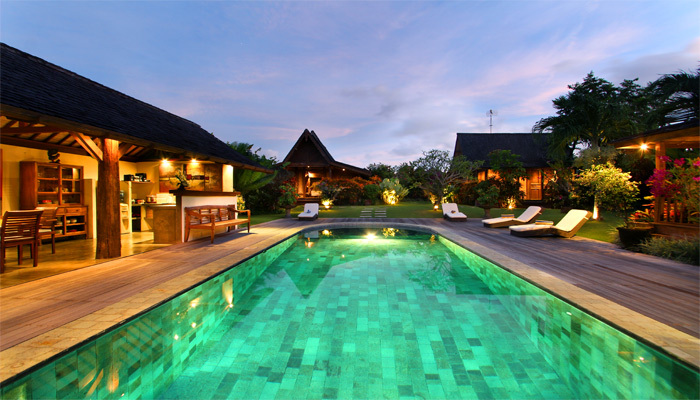 Get yourselves immersed while entering this lovely villa with its stunning ricefield view. Located in Canggu, the new trendy area of Bali, Villa Thamilla is 5 minutes-drive from Berawa beach, widely known as a surfing spot and highlighted with newly opened Finn’s Beach Club, one of the most visited beach club for witnessing the beautiful sunset. The villa possesses 3 bedrooms, each comes with cozy bedding and a featured bathroom. The main area shelters the TV corner, a comfortable dining table with its American open space kitchen and a sofa space overlooking to the garden and the swimming pool through the vast sliding glass door. The villa staff will be present to cater your need and assures the maximum comfort during your stay. Only 10 minutes away from Seminyak, 45 minutes from the international airport and 30 minutes from the famous Tanah Lot temple, fly today to Bali and stay with Optimum Bali management in Villa Thamilla. You have review for Villa thamilla?